Get the latest ski/snowboarding conditions from your favorite area or mountain using the Snow Report WordPress plugin. The plugin uses the OnTheSnow.com website’s data feeds that provide the most accurate, up to date information available. Please check the plugin page first to see if your questions are answered there. If not, drop a line using the comments form below. I hadn’t planned on something like that; it would be much more in-depth than the plugin is now. Then for each location, you could add a custom field named ‘location’ and have the state’s name. Alternatively, you could point people to the source of the data: http://www.onthesnow.com. for Italy there is only one place… is it possible? do the others ski resort have to register somewhere? how to fetch the data? @ec: The information is from http://www.onthesnow.com, so it should have all of the resorts listed here: http://www.onthesnow.com/italy/skireport.html There may be only one because you may have entered a specific resort into the “Specific Mountain” setting… If so, remove that. 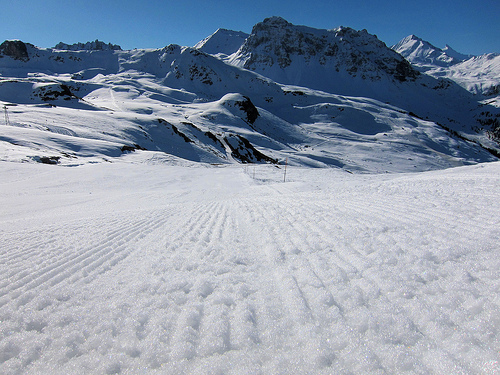 Also, try this for me: add into your content [snow_report location="Italy" mountain=""] – let me know if that works. Want to first thank you for this plugin. I am having a little trouble though. First if I have a page for each resort can I show the report for just that resort on its own page? Also after installing and testing the shortcode I am getting this error. @Nick: I just released version 1.1.2, which will fix that error. Thank you for reporting it. That should show only that resort’s listing. Let me know how it goes. Okay so I got the single reports to display on 4 of the pages I need them on. However, when I try to display it for the remaining three resorts it lists every resort in Colorado instead of just that one resort. Sorry I just thought of another question. How do I change the avantlink info for liftopia from your account to mine? This looks to be a great plug-in that I’d like to use when I add a WordPress blog to my site shortly, however, is there any chance that it can support Bulgaria, Borovets in particular? It appears ‘onthesnow.com’ website, so would be great if it could be included? Hey Zack..great plugin. Is there a way to show multiple states like Colorado, Wyoming, Montana, Utah, etc? This looks to be a very useful plugin – will have a play now and see how/if we can use it. I cover the northeast, and this plug in is sick, I love it. I need to be able to give snow reports for the northeast, USA states, is there a way to add a few states? Thanks great job, Ronnie. Be nice to have regions. Like Mid west, northeast, west coast, etc. Ever thought about a surf report plugin? Using like surfline.com? Great work. Is it possible to have more than one specific mountain display? For example, I want to do Wyoming, but instead of the 7 resorts that come up, I only want to do 3 specific ones. Jackson Hole, Snow King, and Grand Targhee. Using ShortCode to display Snow Report for Quebec. Version 1.2.1 fixes the measurement issue. Sorry about that. Thanks for bringing this to my attention – it turns out that not all names equal their web address on the OnTheSnow.com website…it’s not “wolf-creek”; it’s “wolf-creek-ski-area”. So to have it work, use mountain="Wolf Creek Ski Area" … Sorry for that! I want to change the table css using the class=”css_table_class” but where do I put the code to modify the css? I have the plugin installed—didn’t get any error messages. I’ve put the shortcode into a text widget and it pretty much does nothing. Am I missing something? “Snow Report Error : Error reading XML file at http://www.onthesnow.com/washington/snow.rss and “I spoke with my host and they don’t block plugins (I have your WP Wunderground plugin working perfectly on the same site) so it doesn’t seem like that’s the problem. When I type the feed URL directly into my browser I can see it, so I know OnTheSnow.com is not down.Any suggestions? a domain name http://www.bostonsnowman.com is for sale. Reasonably price but it will be over a thousand for the name, then the builder can do anything they want. Do you know if there is a way to include your short code in a dropdown, where the user can select the resort and return only that resosrt? Thanks for creating the tool! Hey has anyone noticed this plugin just stop working? the plugin is activated, and the shortcode is in fact present and correctly displayed? Any thoughts on how to debug? Look at the source code on the page and see if there’s an error in html comments. i’m guessing this is a problem with onthesnow? Speaking which, you headed to Vail tomorrow? So the error is still there, a few days later, but if i follow the url to the RSS feeds i am seeing the XML file…it seems to be fine. Is it possible that it is an error on my end? That sounds like an error with the plugin. I’ll check it out. Thanks for following up. up, I only want to do 10 specific ones. Squaw Valley, Alpine Meadows, Northstar, etc. Is this possible? Is it possible to have the liftticket link through Liftopia/Avantlink go to our account so that we can earn commissions on tickets sold? Not without editing the plugin. I am assuming that this is the part of the plugin I should edit to get credit from Avantlink with my affiliate ID. Can you tell me specifically what to update? In the Snow Report plugin settings, uncheck the “Open Stats” and “Surface Conditions” boxes. It should then be disabled in your shortcodes by default. First, congratulations on your Snow Report plugin. I have a website about snowboarding and and I was interested in installing it, but I see the Spanish ski resorts are not available. Have thought that at some point may appear in your application. Is it possible to setup the Plugin to show all of Colorado and all of Utah? fantastic plugin, it is exactly what I´m looking for! works in the plugin? I be very very happy if so! Zach, GREAT PLUGIN! Easy to use, thats what I like. Quick question. onthesnow.com has a 24 hour snowfall report. I am fairly confident in my abilities as a coder to include this in the plugin if you can point me to the line of code that draws the 48 hour report. Or is this a feature that im over looking somewhere? Is this pluging still working? I installed your plugin last week and configured it for Quebec and it was outputting beautifully. Since yesterday the output it blank. Tested on 2 different WP sites, with different themes, blank output. Tried Quebec and Ontario, still no output. Tried IE 9.0 and Firefox, still no output. Did something happen for it to stop working? I used the default [snow_report] shortcode. Interesting. Thanks for reporting – I’ll look into it. OnTheSnow.com has stopped providing RSS feeds (how the plugin gets its data). This may be temporary or it may be permanent. I’ve been in touch with them and will let you know what the deal is when I find out. Howdy, is the plugin still functional, or is the website blocking wordpress sites from using it? Hi Zack. Love your plugin and want to use it. Have you resolved the issue with OnTheSnow sending you feeds? Is or will your plugin be functioning and regularly updating again, and when? It was back up a while ago. Yes, it works again. Snow Report WordPress plugin NOT UPDATING???? I have it set up on my site http://www.rmrm.net and it is not updating the snow fall or the fact that some mountain in Colorado are open. Says they are closed and 0″ snow fall?? I have the pulin on my site http://www.rmrm.net and it is not reporting snow fall or the fact that mountains are open in colorado?? Try removing the space after “Black Mountain” in the shortcode. Okay, I’m going to look into fixing these issues next week. Thanks for trying, Pepin! Nice Plugin Zack. But I am having an Issue, the mountain we are trying to display in Black Mountain located in New Hampshire USA. I am using the shortcode to display in the sidebar and want to display a link to the tickets too. How can I do this JUST for Black Mountain. Mine still is not reporting the open mountain in Colorado or the snow fall?? Thanks for reporting; I’m going to be working on it today. Please be patient while this is fixed. Thank you! I like the plugin & perfect for http://rockymountainplaces.com. However, have put shortcode for each state on a page, and seems to be getting snowfall, but see “Array” or “N/A” under Surface Conditions and blank under Lift Tickets. Perfect plugin form my Rocky Mountain Places site, but see http://rockymountainplaces.com/snow-reports-by-state/colorado-snow-reports/ . Showing “Array” under Surface Conditions and nothing under Tickets. Help? Seems to not be reporting. Resorts are opening, and plugin says closed. Hi there, The default font for the table is a bit ugly…is there a way to change this? Also the “align” command only changes the alignment of the content not the alignment of the column headers. Lastly….when I use the shortcode for just one location is there a way to not show the resort name? The ugly font issue and centering issue are theme & CSS issues. The resort name can be hidden using CSS as well. It was working fine and now it is not. Not sure why, instead of the reports showing, only the code display’s, what changed? If the shortcode code shows, the plugin is not active. can you add an image, maybe a snow flake or something a bit more visually appealing? If so, how? Thanks! I don’t see any snow amounts on the pages, is the plugin down? In the settings the only changes from the defaults are that the location is Switzerland and the UoM is metric. I have an easy question.The URL of my blog is -http://www.scenicvt.com. My question is how can I change the background colors of the two top rows so it works with my blog better?., I love this plugin and this is my second season using it but, the way its displayed needs to change. rmrm.net http://www.rmrm.net/snow-reports/ NOT SHOWING SNOW REPORT??? I have asked for help and received none http://www.RMRM.net – snow report was working and stopped? I have deleted the plug in and reactivated and more and I can not get it to show up?? Great plugin. I’ve installed it at http://wintersportfrankrijkgids.nl/sneeuwhoogtes/ . Is there a possibility for me to translate some things like ‘Northern Alpes’ in my own language? Hi Zack — thanks for the plugin! Hi doesn’t seem to work with WP 4.0 will you update it to work with 4.0? Running WP4.0 and the short code [snow_report] doesn’t appear to be working. Any ideas? Hi there. Ah, plugin doesn’t seem to be working. Just a blank div there. Shame, it was a really handy tool!